If you are feeling constant dental pain or a toothache that has caused you to lose sleep, it’s time to contact your dentist. 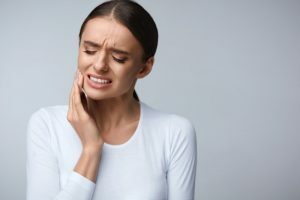 Severe dental pain is typically an indicator of an infection in your tooth, and unfortunately, dental infections don’t go away without treatment. So don’t wait to call your dentist thinking that Ibuprofen will help you better. An infection left untreated can progress and cause more significant problems for your surrounding teeth and could even result in tooth loss. If you notice swelling around your gums or cheek, this could also be telling you that your tooth is abscessed or infected. Swelling causes severe pain and other discomfort, so it’s important to contact your dentist right away if you notice it. 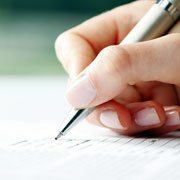 This is also an urgent situation in which you should contact your dentist right away. A knocked out tooth only has a small window of time in which it can be saved, so don’t delay. Transporting your tooth carefully to your dentist is critical for trying to save it. Don’t handle the tooth too much and hold it by the crown, not the roots when you do. Placing it back into its socket is the best way to transport it. However, you can also use milk to keep the tooth moist if you can’t replace it into your mouth. There are other situations such as a chipped tooth or broken dental restoration that may not require immediate attention. However, if you’re unsure, it’s a good rule of thumb to contact your dentist anyway. They can help to assess your situation over the phone to ensure you get the treatment you need in a timely manner if it’s necessary. Contact your dentist today if you’re feeling any dental pain or sensitivity. Dr. Sheri McIntosh has been providing exceptional dental care to patients in Keller, TX for nearly a decade. Her attention to the small details and focus on excellent service makes her the dentist patients in Keller trust. 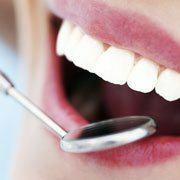 Distinguished Dental also offers convenient early morning appointments so we can accommodate emergency patients.